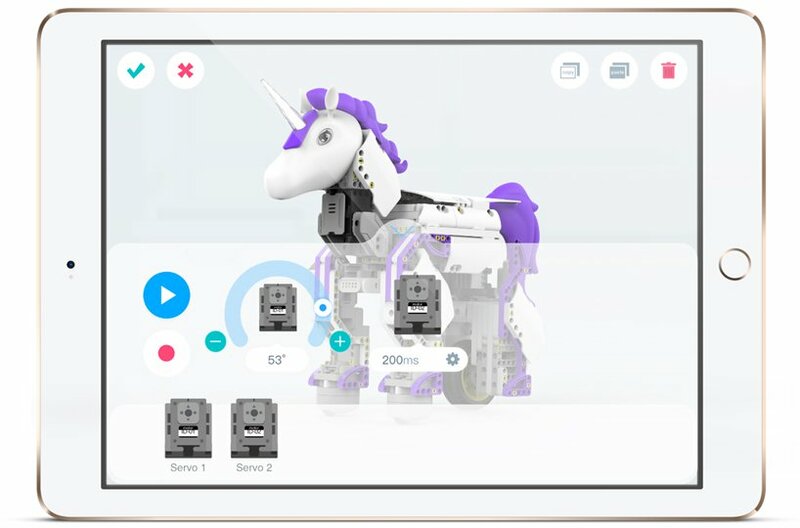 Global AI and humanoid robotic company, UBTECH, has unveiled a unicorn robot designed to teach kids coding. The robot comes in pieces – using an attachment system similar to (but not exactly the same as) LEGO to assemble. This product uses both unpowered and powered (electric) parts to promote construction and programming. 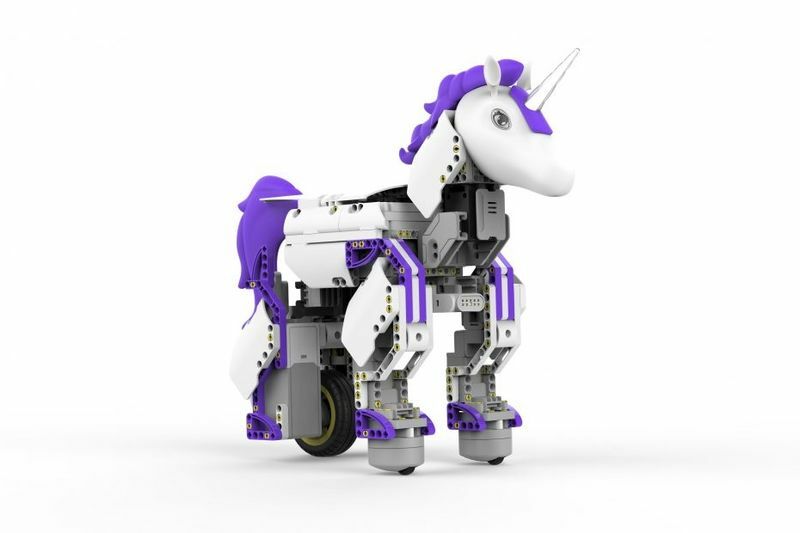 The unicorn robot works with STEM principles and the kit requires assembly with building blocks including both powered and unpowered parts. As well as construction users will need to develop skills in programming to get the most out of the bot. UBTECH has created an accompanying app with an intuitive interface that allows kids to customise the functionality of the mythical robot. The app is available for both iOS and Android devices, and the unicorn robot comes with step-by-step, 360-degree instructions that can be controlled using your smart device. Designed to look like a mythical unicorn the device features a purple tail and mane topped with a programmable light-up horn and built-in colour sensor. The sensor recognises up to eight different colours and the horn responds according to its coding. Two smooth-motion robotic servo motors and powerful DC motor allows for combined movements, such as lowering its neck to 'drink' when it senses blue for water. "Kids gravitate to STEM toys because technology makes learning feel fun and empowering without being forced," said John Rhee, senior vice president and general manager, North America, UBTECH. The kit is available for purchase now from selected stores and online at a price point of $120.